Babette is rated as a top 10 global franchise lawyer. She heads up the European Franchise team at Dentons. She specialises in international franchise and concession agreements and IP-driven joint ventures. Babette has transactional experience in over 100 countries. Recent deals include work in all major emerging markets (Russia, India, China, Brazil and South Africa) as well as in the Middle East and Africa. She also advises clients on franchise agreements and other innovative structures for international expansion in the global marketplace. Babette has particular expertise in the restaurant, hotel, leisure, retail and sectors. She is dual qualified in Germany and the UK. She is recognised as one of Europe’s leading experts in hotel and leisure franchising with a particular emphasis on German speaking Europe. 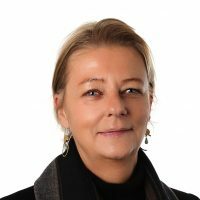 Babette is recognised as a leading expert in international franchising by Chambers Global which says she is “highly regarded for her experience in the hotel and leisure industry”. She is also recommended by The International Who’s Who of Franchise Lawyers, Chambers UK and Legal 500 for her franchise expertise. She is listed as a recommended country expert for Germany in Chambers Global. Babette’s research on the role of franchising in the European hospitality industry has attracted widespread media attention. Babette is the author of “International Protection of a Franchisor’s System”, Vancouver 2004. She has written the European section of Butterworth’s Franchise Laws. She lectures regularly around the world on franchise law and was part of a team of lawyers that advised the Russian Government on the use of franchising to kick-start small businesses. She is an associated editor of the Franchise Law Review. Babette is a member of the ABA Forum on Franchising, the IBA Franchise Committee and the IFA. She is dual qualified in both Germany and the UK.